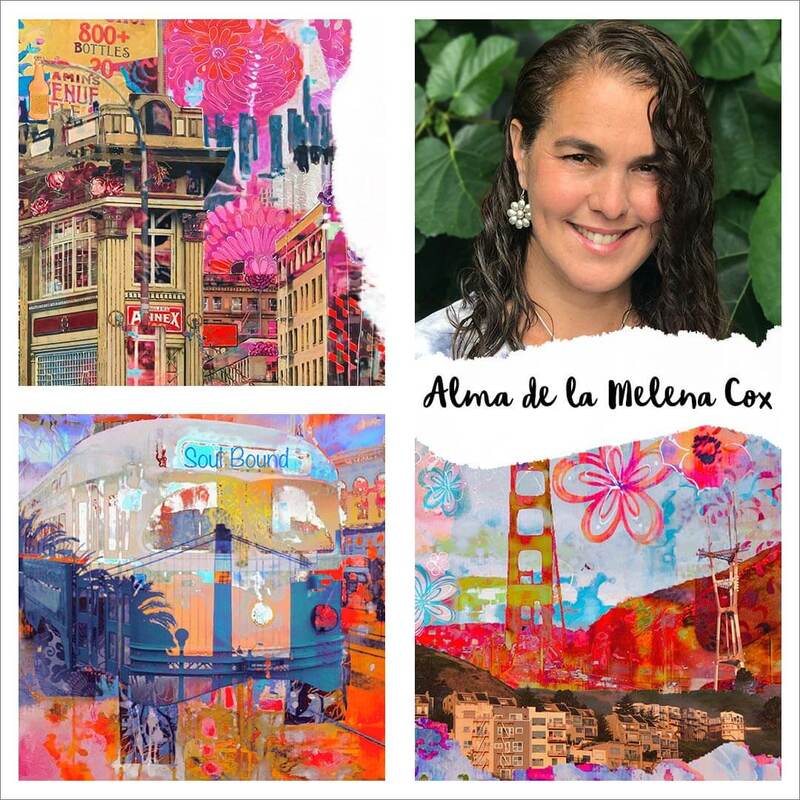 Art by 21 SECRETS teachers: Roben-Marie Smith, Alma de la Melena Cox, & Cynthia Shaffer. 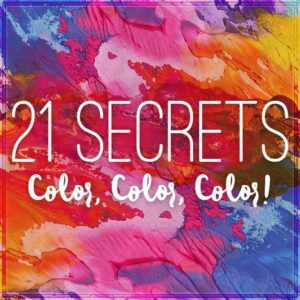 Introducing 21 SECRETS Paper, Glue, Scissors! For hundreds of years artists have been cutting and pasting magazine and newspaper clippings, photos, handmade papers, and found objects into new and exciting images called collage. In 21 SECRETS Paper, Glue, Scissors we’re keeping the tradition alive with the help of 21 talented, mixed-media teachers whose workshops range from traditional collage principles to more experimental approaches. 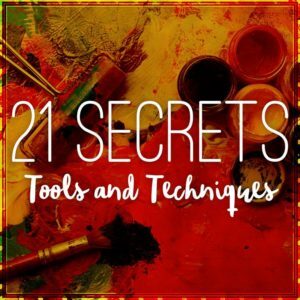 If you are new to mixed-media or simply looking to give your creative practice a boost, 21 SECRETS Paper, Glue, Scissors is filled with fresh ideas, fun lessons, practical techniques and inspiration galore. 21 SECRETS Paper, Glue, Scissors is a downloadable 150+ pages eBook containing 25+ hours of videos, full color photos, templates, and clear instructional content that is yours to keep for a lifetime. 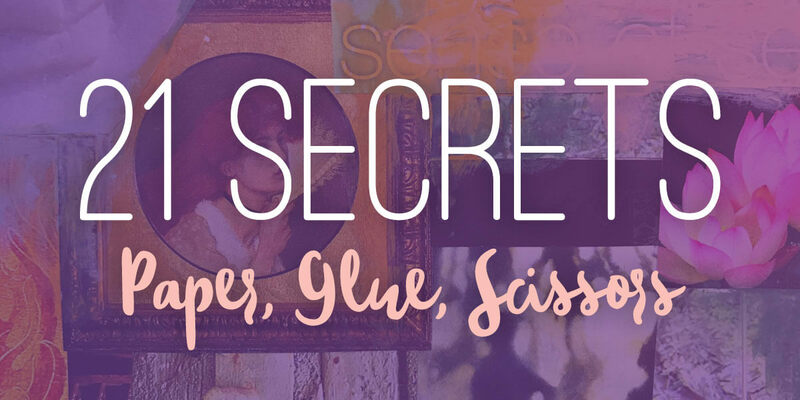 21 SECRETS Paper, Glue, Scissors is now available with immediate access! 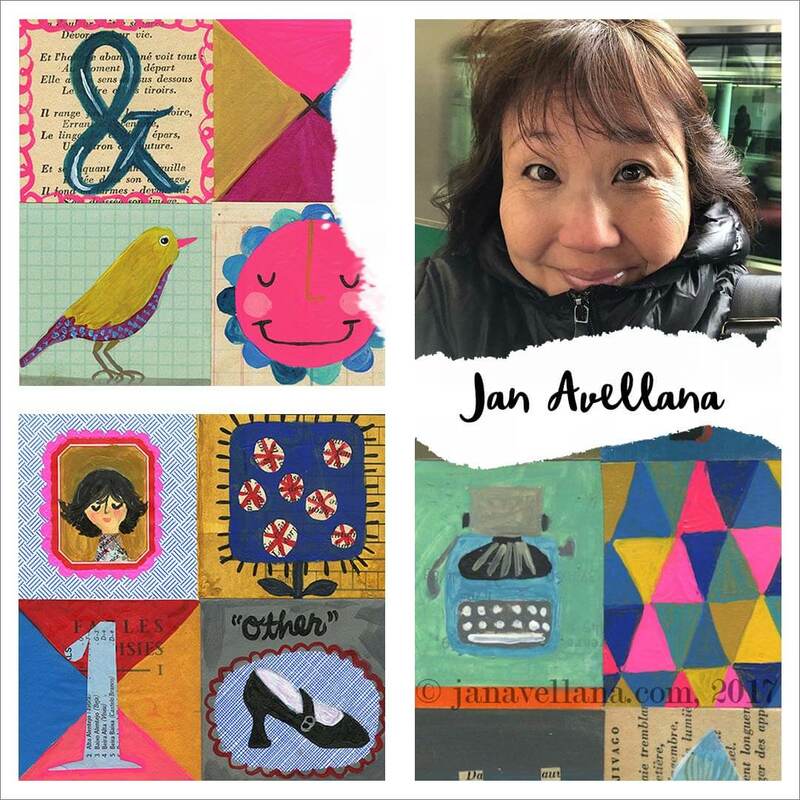 Art by 21 SECRETS teachers: Jan Avellana, Kelli May-Krenz, & Denise Braun. Unlimited access to all workshops at once! You pick and choose which ones you do and when. There is no time limit or deadlines to meet so you will never feel like your falling behind! Membership to the private 21 SECRETS Paper, Glue, Scissors Facebook community where you can share, be inspired, and receive warm, supportive feedback. 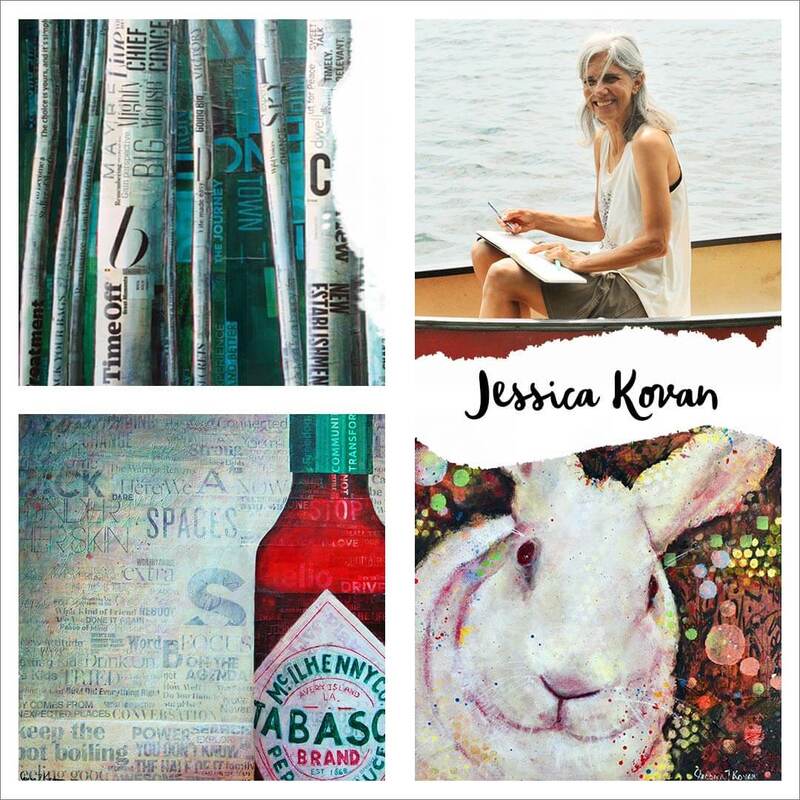 The opportunity to learn a variety of mixed media collage techniques and approaches from the comfort of your home/studio. Belong to a supportive online artist community that has been growing strong since 2010! 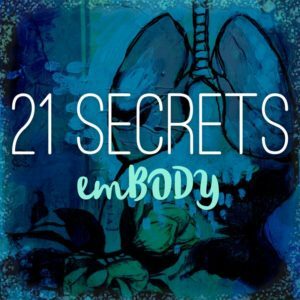 At 21 SECRETS we celebrate everyone’s unique expression and support artists in becoming confident and courageous while creating from the heart! 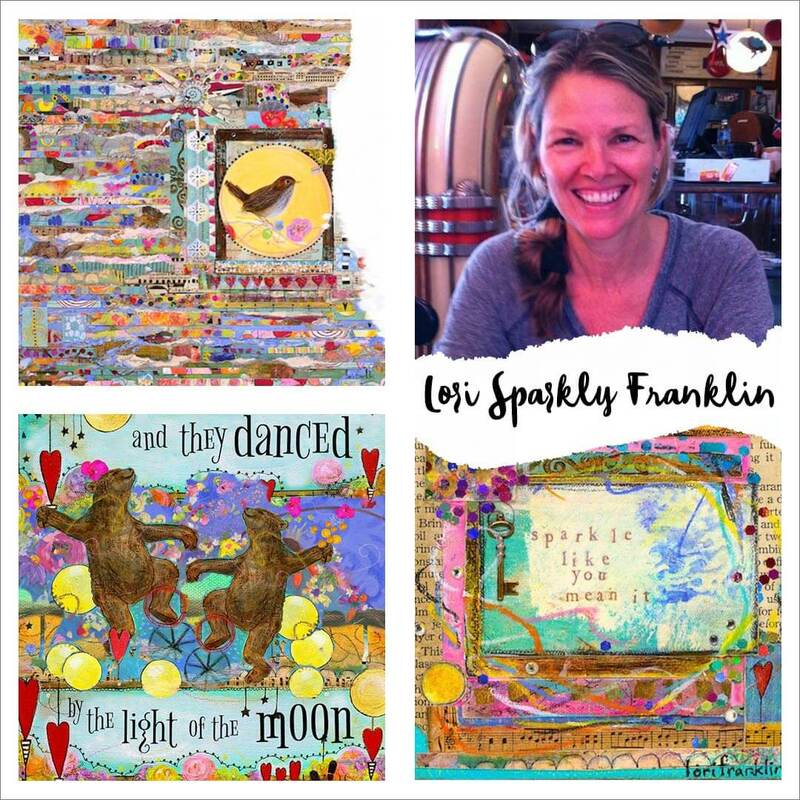 Art by 21 SECRETS teachers: Dawna Magliacano & Lori Sparkly Franklin. My iPhone is quickly becoming my favorite creative tool. I love the instant gratification of creating something beautiful while I wait for a yoga class to begin or while I lay in bed. A handful of apps transforms photos into works of digital art I share immediately on social media or, I turn them into small and large-scaled mixed-media paintings. The technique I’ll demonstrate uses two phone Apps. The first is, “Fused,” for IOS, and is free in the App Store. The second is “PicsArt,” for Android, and is free from Google Play. PicsArt is also available for IOS in the App Store. You may also download Fused in the Microsoft Store for your Microsoft Computer. I also use the phone’s built-in photo editor. 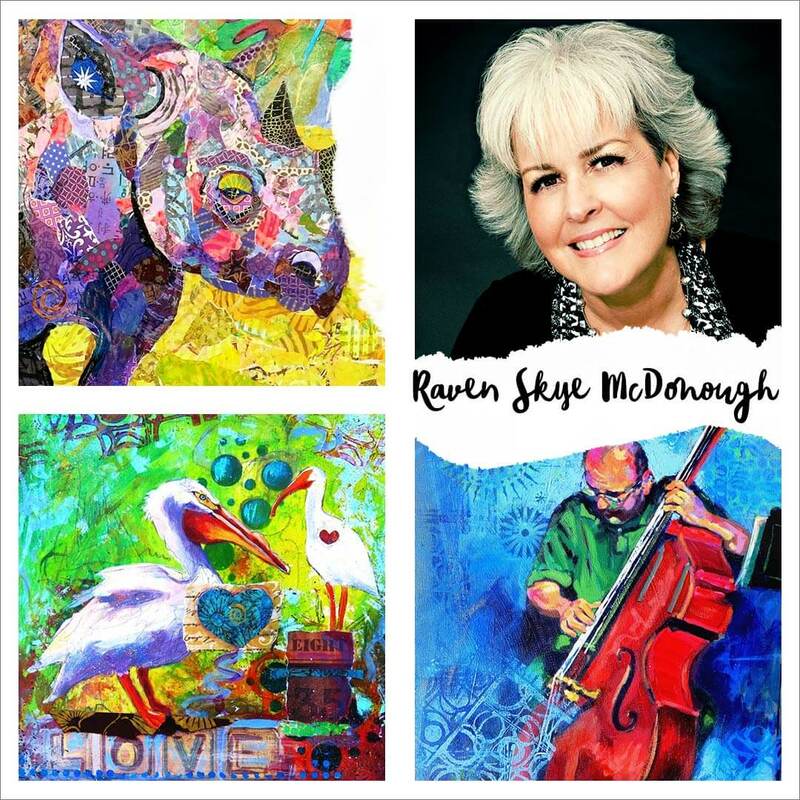 I’ll show you how I create a digital artwork and then I’ll use that digital artwork to create another mixed-media artwork. Drawing has always been a practice that brings me back to center and acts as a warmup for my head and heart as I dive into any given project. While my work has been photographic-based over the years, I’ve found that combining mixed-media techniques with my photographs sets up a perfect combination for the mark making I desire, and the imagery that I capture and love, to manipulate. 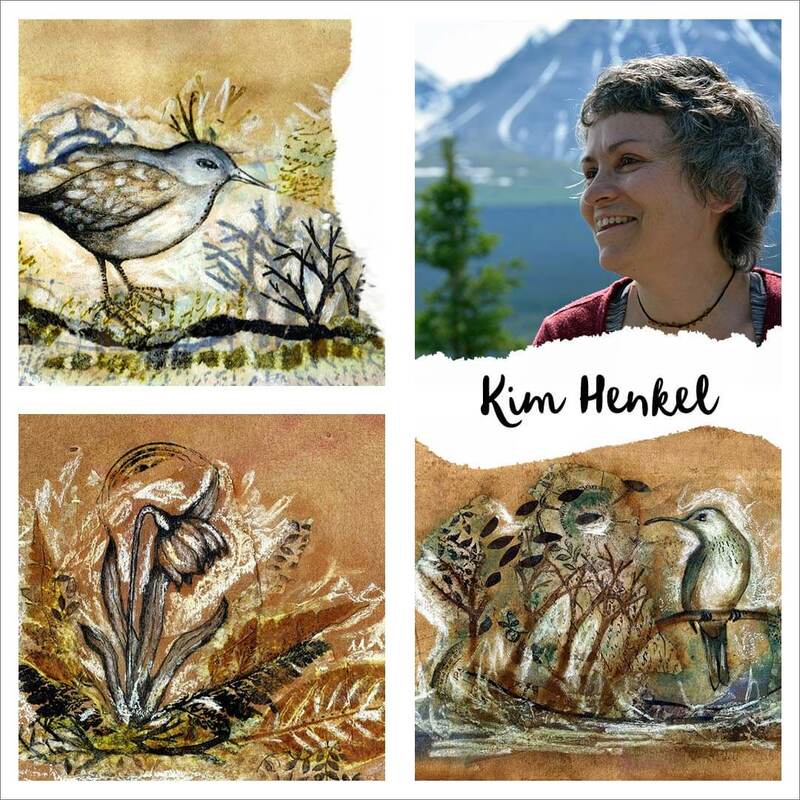 Join me as I bring you through my process of using expressive, stream-of-consciousness drawing to create interesting and dynamic backgrounds for a mixed-media collage. 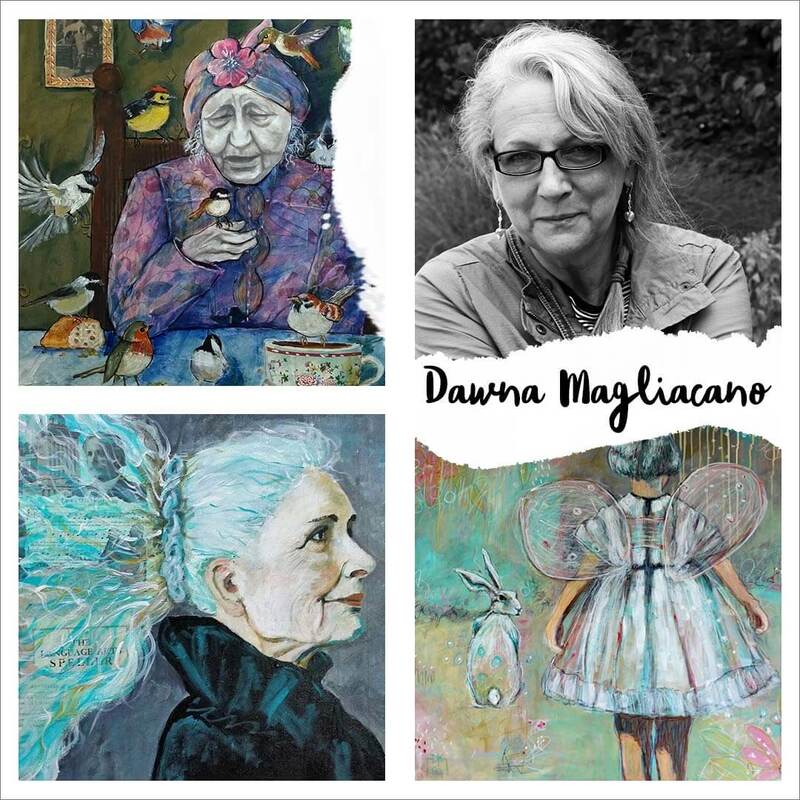 You will learn how to build a “Visual Nest” that can hold your collage and I’ll share tips and tricks you can take and apply to your own mixed-media practice. I started collaging on transparent substrates purely for the joy of discovering what insightful messages would appear on the other side once I was finished. Two decades later, I still use this fabulous technique any time I need a dose of clarity, guidance or healing. In Two-Sided, we create a body of two-sided collages using a painterly approach and welcoming the surreal and strange to show up and play. But I’m warning you: After Two-Sided, you’ll never use boring, non-transparent paper again. Ideas continually flood my mind; with mixed-media art, the possibilities are truly unending. When I show up at my studio to play with my art supplies, it’s paper, photos and fabric that always seem to land on my worktable . . . oh and stitching! 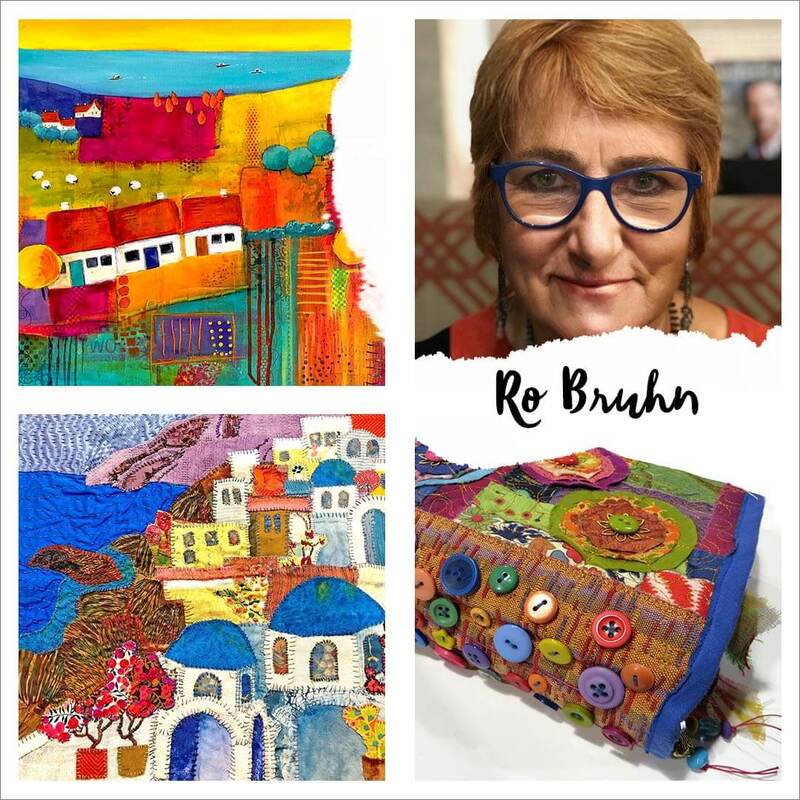 I love hand stitching, embroidery and free-motion machine stitching! Come explore the satisfaction of working on a small scale! 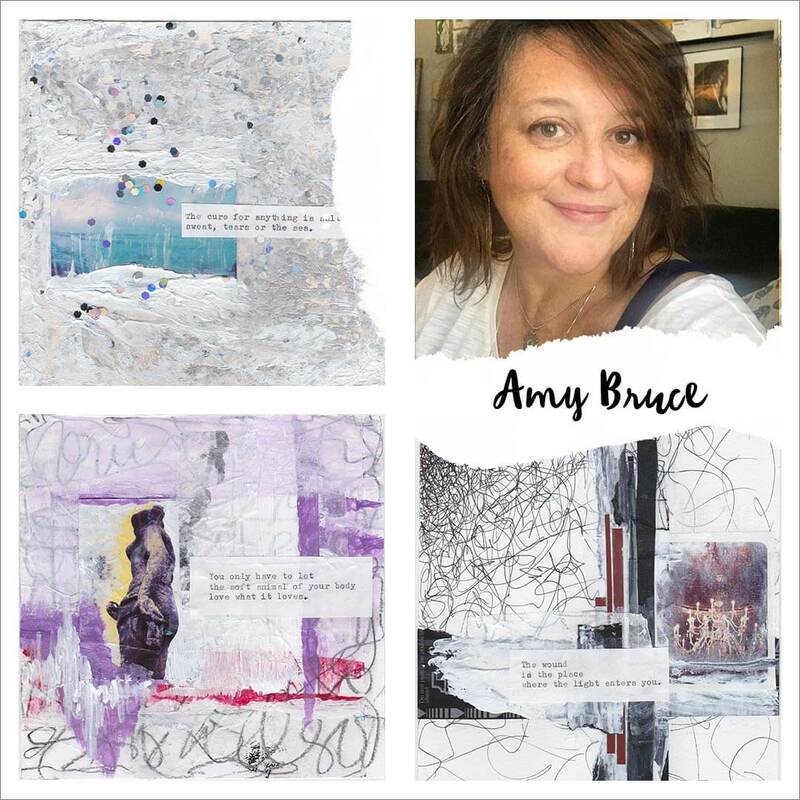 From small panels of raw-edge canvas and shipping tags to the inner pages of a small discarded book, this workshop will take you down the path of loose and free collage techniques with paper, photos, paint and fabric all with a little stitching mixed in for that extra-special detail pop. In this workshop we will be using a variety of papers—some of which we’ll print ourselves using a Gelli Arts plate, as well as other collected papers—to create a portrait (human or animal; realistic or whimsical). I will show you how to mix either photos or your own sketches with traditional collage to make an interesting and fun portrait. We will warm-up by making some playful practice pieces and then create one final piece that incorporates several of the processes that I will demonstrate. Your practice pieces will be worked in your journal and your final piece will be on a substrate of your choosing or in your journal. What are angel cards? I use angel cards in my private practice with clients as a powerful tool of intuition and insight. As a believer in all things magical, including angels, these cards help guide me towards powerful choices. But they also give me hope—knowing that angels watch over me in all that I do. This creative lesson will focus on creating five inspired angel cards, using a wide array of old papers (ephemera) and scrap book papers. Imagine making these cards as expressions of you; as a way to connect with your spirit guides; and to help you feel happy and peaceful as you create. If you love the look and feel of old vintage books, but don’t know what to do with them (or if you have a weakness for journals and sketchbooks of all kinds), I have just the project for you! We’ll be using vintage book covers to create a one of a kind accordion-style journal. I’ll introduce you to the mixed-media materials and techniques I use, and give you an introduction into my personal style of mixing collage with acrylic paintings and line art. 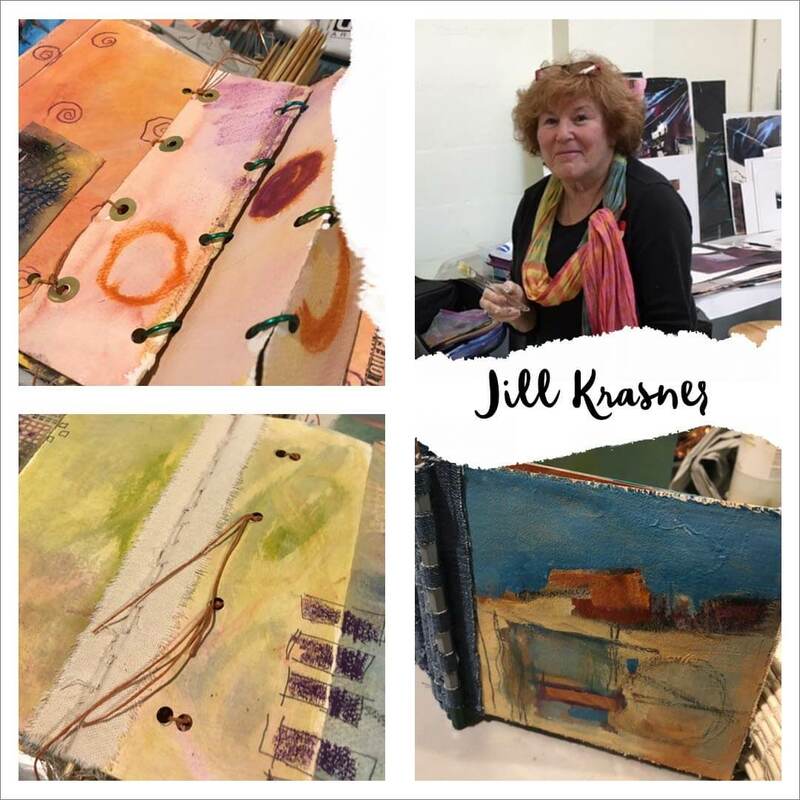 Through play, experimentation and demo-ing, you’ll discover what works for you and design your own journal cover art—from abstract collage, to more representational art (like the girls I love to paint); the final look of your one-of-a-kind journal is up to you! The inner “pages” will be constructed using watercolor paper using a simple folding method for making an accordion booklet. 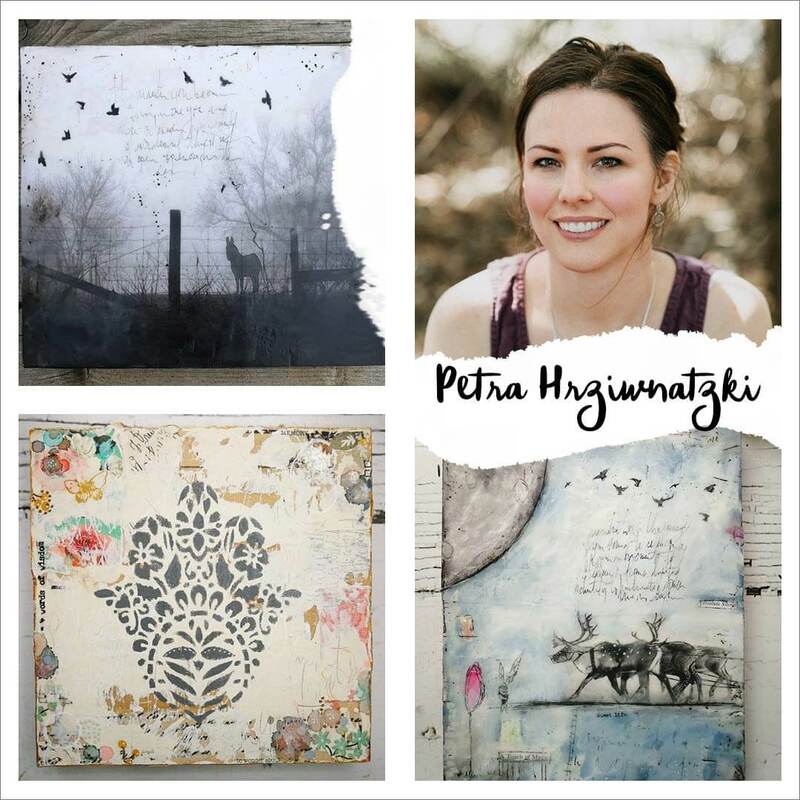 At the end of the process, you will hold a completed, one of a kind art journal in your hands! Do you want to paint looser? Does a blank canvas stifle your creativity? Do you want to put more of yourself into your paintings? 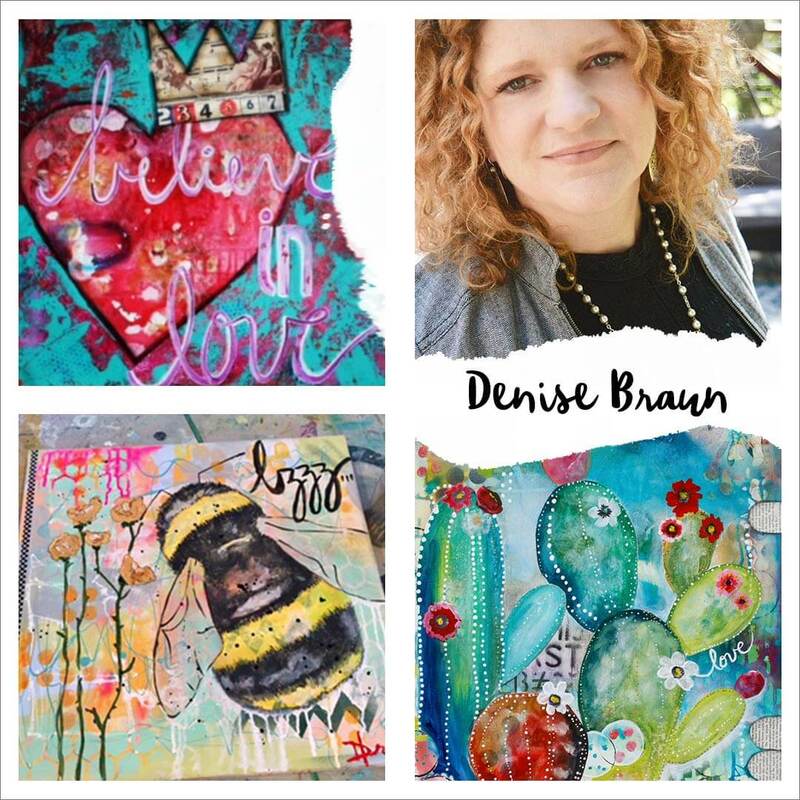 Learn to use your art journal as a tool for planning out your painting. It is all about creating a freedom that allows you to capture your ideas and your emotions in your art journal while simultaneously working out your design, figuring out the best way to tell your story, and experimenting. You’ll be ready to tackle your larger project before you know it! And you’ll have captured the moment and your inspiration in your art journal. It’s a win/win situation! Sorting through a huge pile of half finished or “ unsuccessful “ paintings, and being hesitant to throw anything out, I realized these papers would make great foundation pages for journals. One thought led to another and I am now making individual journals for each of my eight grandchildren. Each journal will have 10 to 12 pages, filled with secret pockets, fold-outs, sketches, photos and messages. There will also be plenty of blank areas for the recipient of the journal to add their own thoughts and illustrations. I will demonstrate binding the journals using various materials and methods. I will show how to add pockets, fold-outs, and add one. Using paints, inks, gesso and numerous unexpected materials, I will show many ways to make each journal unique—an irresistible piece of art to be treasured. layered vintage piece of art. desire to create with wild abandon. with lots of pieces ~ I know that you will too. I love incorporating copies of my own drawings into things I make. In this lesson we will be using copies of drawings (mine or yours – it’s up to you!) as the focal point in a mixed-media collage. Besides the drawing, we will add lines and shapes by gluing down layers of hand-stamped tissue paper. Then it is time to mix up the media and add some scribbles and lines before the piece is finished and ready to add to an art journal or hung on a wall. Each piece we create in this manner is a surprise. We never know what the outcome will be, but we will enjoy the process and keep on playing with it until it feels finished. I hope you will be surprised and delighted with what you create using this technique! In this how-to workshop of my popular Spaghetti-Confetti-Collage technique, you will see how to crank up a pasta machine to cut, compose and complete a visually pleasing masterpiece on a 12” x 12” (30cm x 30cm) cradleboard or canvas surface. 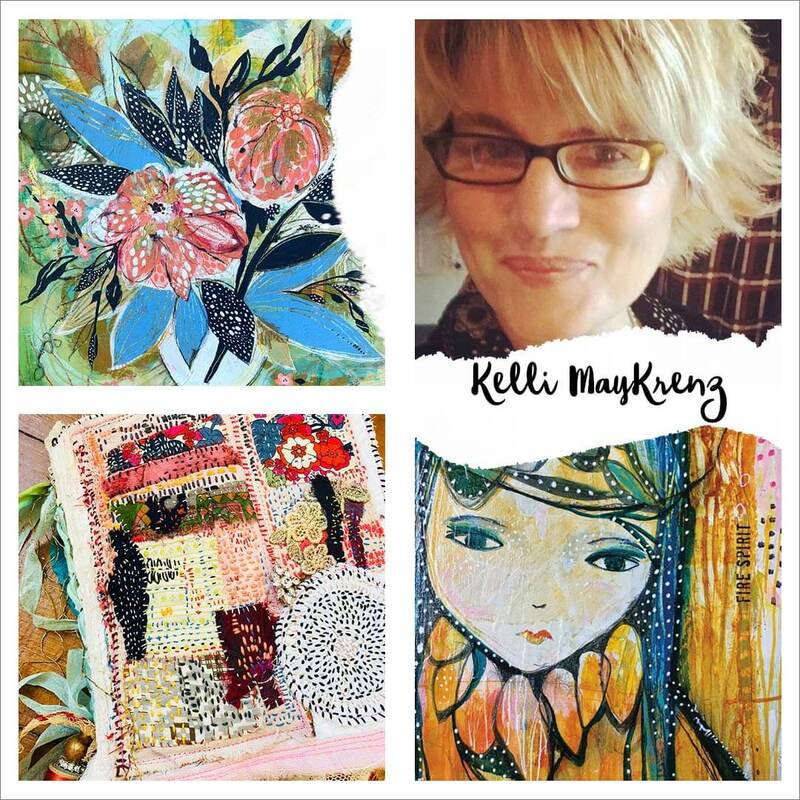 I will share my tried-and-true tips for layering, adhering and embellishing your Hippie Chick collage, however, creativity and improvisation are highly suited for this project! In this joyful class you will be kept relaxed and entertained while learning the tools, techniques, and (yay!) shortcuts of this colorful creation! All class participants will receive a downloadable chicken photo and some of my other downloadable art elements! Every journey has magical moments, whether you are physically traveling or taking an inner journey perhaps with a book or a retreat. Discover and relive magical moments from your journeys using paper, glue, and scissors in this workshop. Magical moments are experiences or new understandings that would not have happened without being on the journey. But magical moments aren’t found on an itinerary or agenda. They simply happen. Sometimes you know right away you are experiencing a magical moment, and other times they slip in quietly to be discovered later. 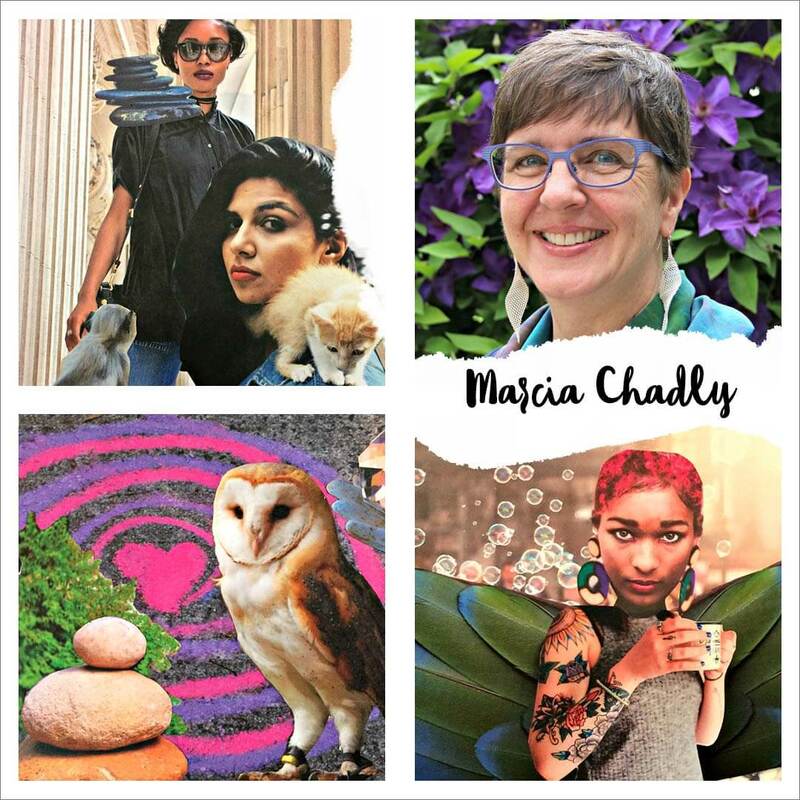 In this workshop, you learn art-journaling techniques to reflect a magical moment and how it was enfolded and held within your journey. If you haven’t identified the magical moment yet, creating these pages can help you to uncover it. 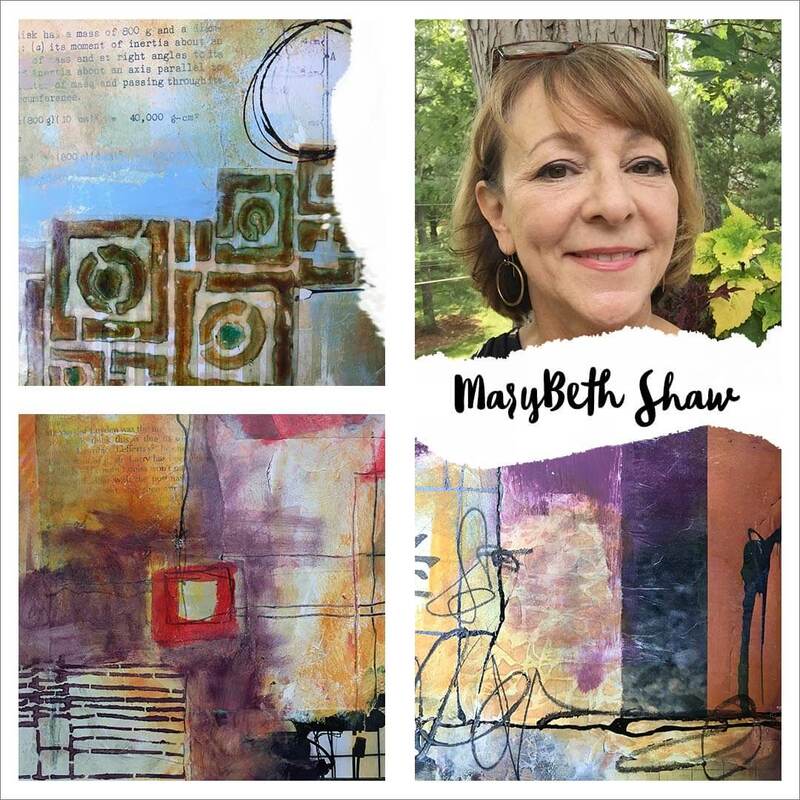 Join MaryBeth as her heart swells with gratitude for an active Art Journal practice. 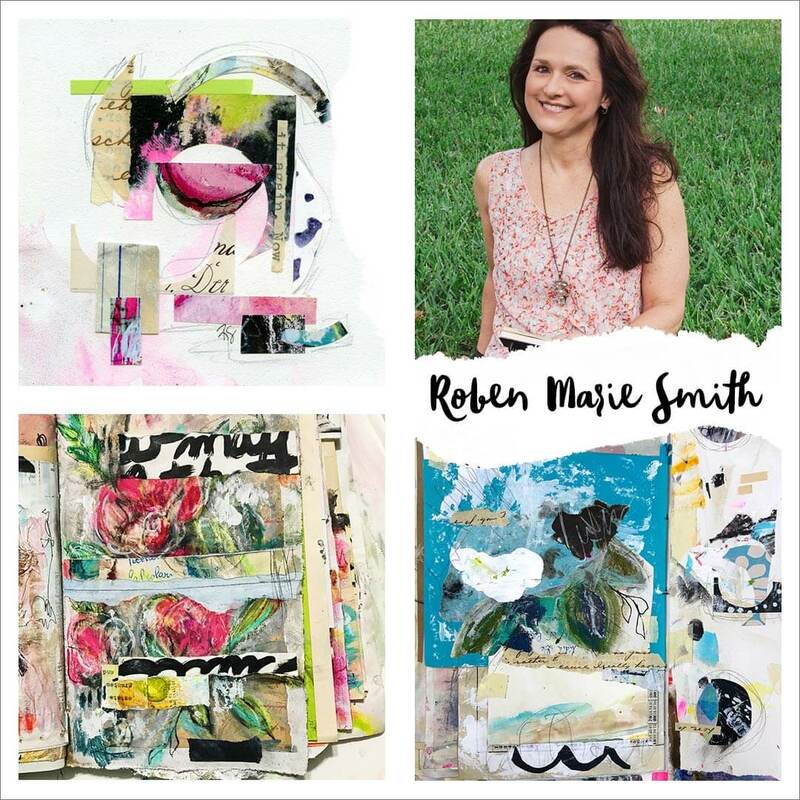 She will share some of her very favorite techniques, from quick painted collage papers to uber-layered pages. We will discuss every bit of the process from starting a page spread to working on embedded meaning within your pages, along with some coverage of color and composition so that all your pages pop. Stencils will (of course!) play a leading role. 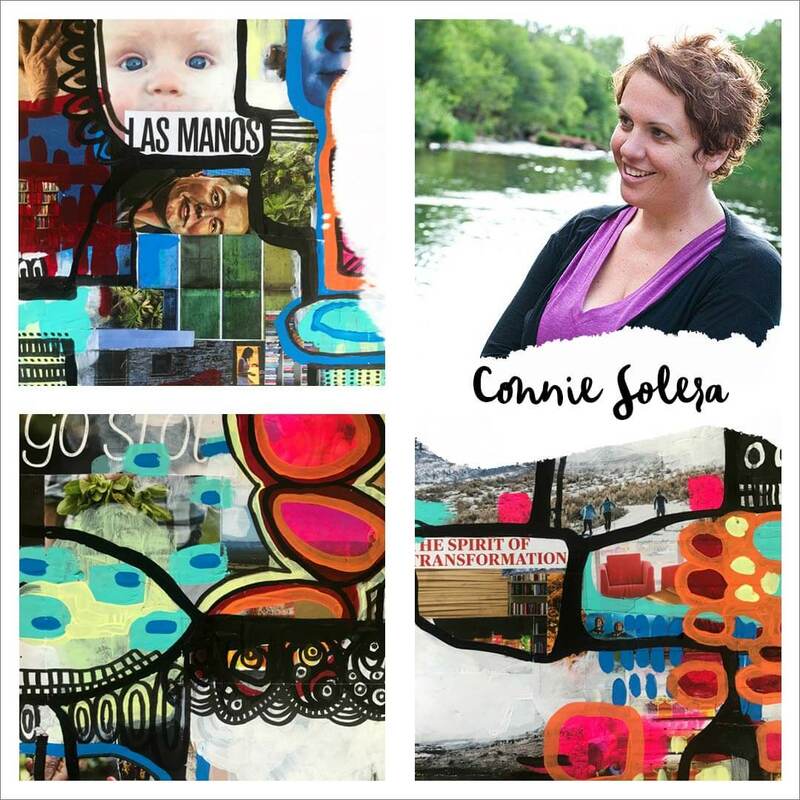 Come along and let your heart swell for Art Journaling. Unfold into A Practice of Affirmation with Artist Nichole Rae and create your own unique I AM affirmation card deck using creative art-journaling and affirmation practices. 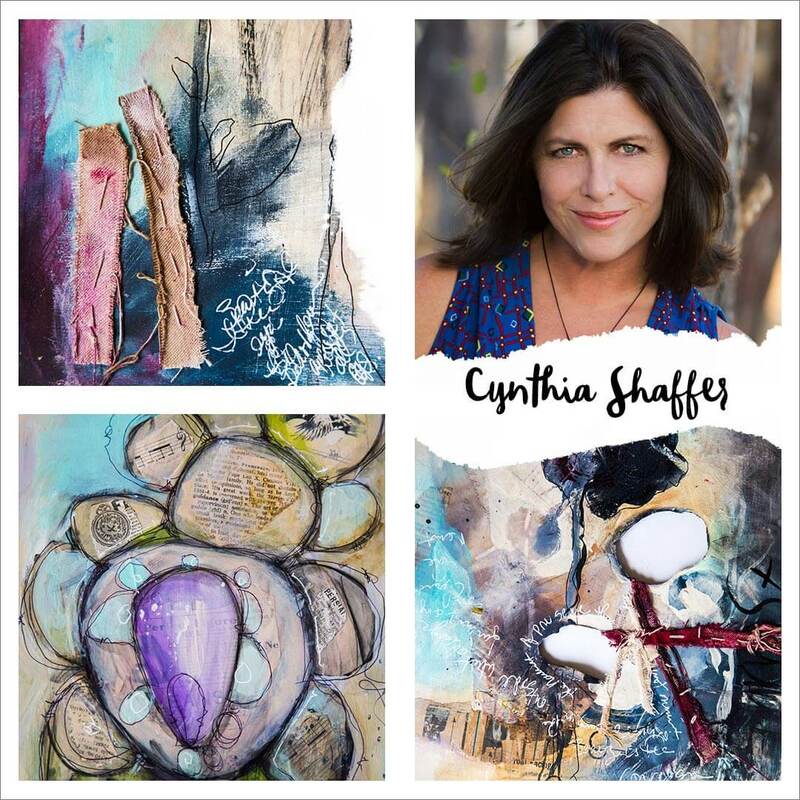 This card deck can be used as part of a daily practice to inspire your creative spirit and connect you with your present self. 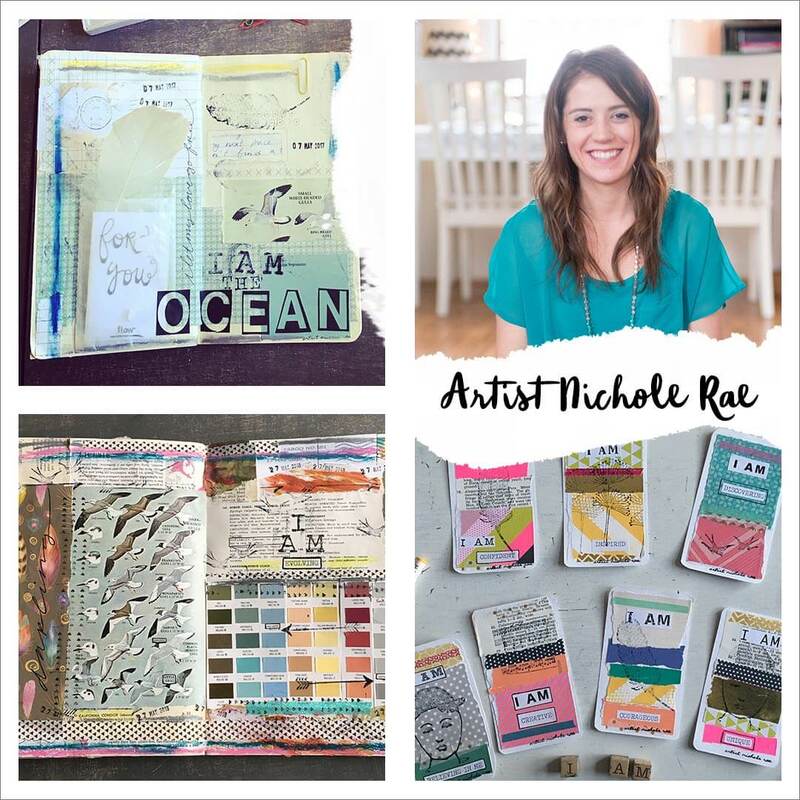 Nichole will share her signature art-journaling practice, all her favorite supplies and guide you through a step-by-step process to make your own affirmation deck. Nichole will share guidance on how to go forth cultivating a creative daily practice to carry with you. “What we put our attention on Grows” is the theme of my life so I want mimic that sentiment in this project—the growth of the flower. We will be infusing our journal page with words/quotes that truly uplift and inspire us. We will use paint, pens, paper, glue, pieces of fabric, photography or magazine images and we will pour ourselves in our journal pages. I cannot wait for you to join me! 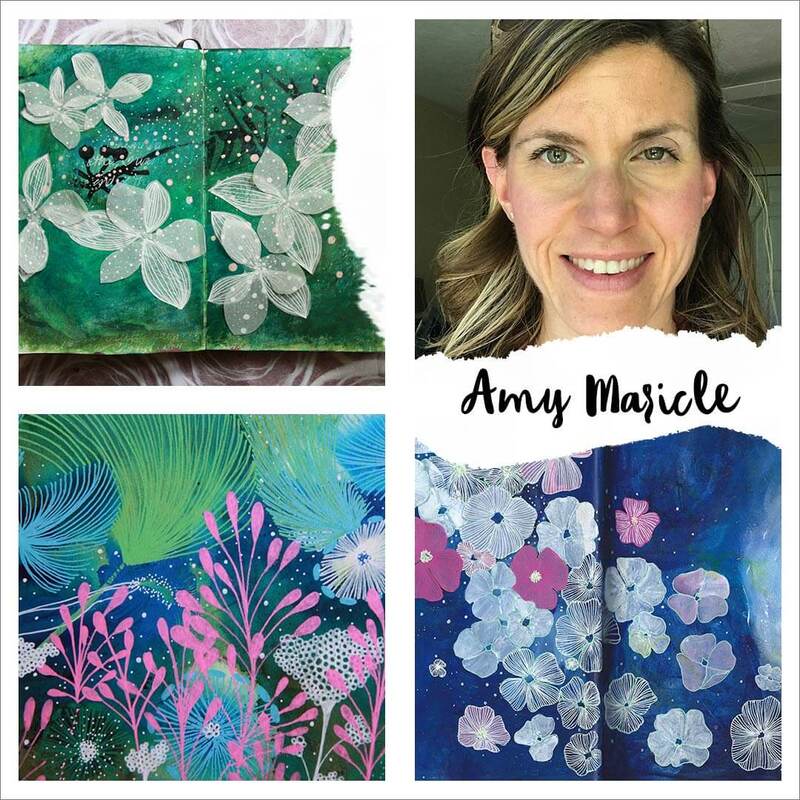 In this workshop, I will demonstrate how easy it is to make a unique stamp using a Speedball Speedy-Cut Printing Block and stencils. Unlike linoleum or wood blocks, Speedy Cut is a soft rubber-like material that is very easy to carve. Spark your imagination and use the stamp to embellish your art-journal pages, collage papers, handmade greeting cards and to create unique textures as an underpainting for soft pastels or acrylics. The possibilities are endless! In this class we will tear our way through a magazine, saving favorite images, patterned backgrounds and interesting words. You can also use your own color laser-printed photos if you prefer. These images will be glued randomly to pages in a spiral bound journal or a journal where the pages sit flat. Once the glue has dried the fun begins. The images will be given a new life using acrylic paint markers. I work over a double page spread covering much of the original work. I finish by adding more marks and shapes using colored or black or white pens, and outlining some of the new images. It becomes very addictive and is a fun way to relax and get your mojo working again. Visual journaling, art journaling, shadow journaling, mixed-media journaling. Some feel there is a distinction between these approaches, yet the truth is, using books, journals, paper, glue, scissors and color is BIG, WILD, medicine for the Soul and Spirit. 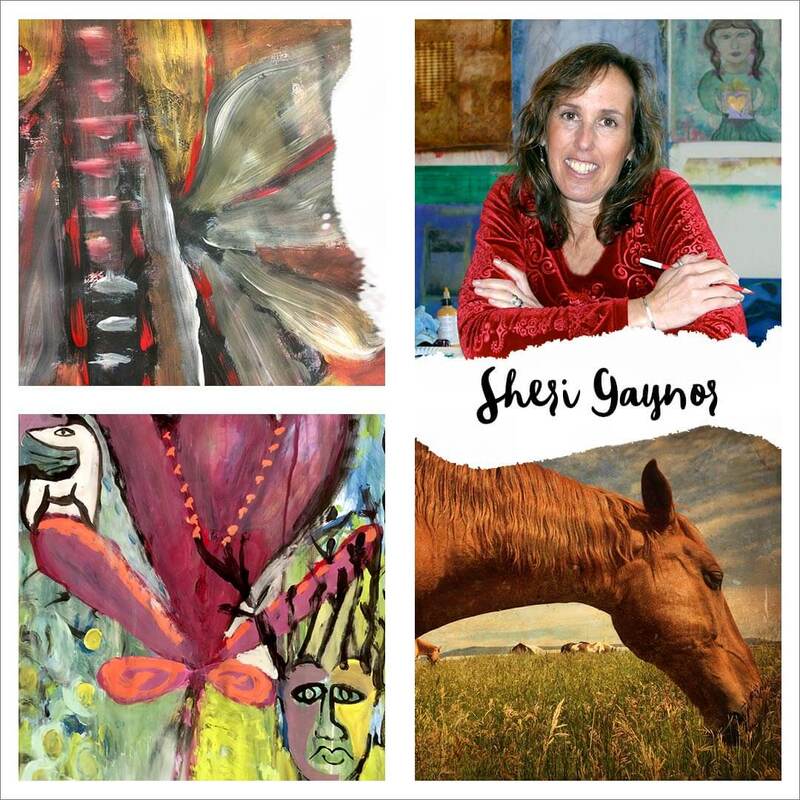 Using ritual, guided meditation and some time in nature with my horse, DreamWeaver Sunday, you will explore moving thoughts, feelings and emotions by spilling to the page without concern for the outcome. Wild Soul Medicine Journaling offers you a way to explore feelings and emotions, as you dive into the world of your unconscious wisdom. By letting go of the reins and allowing the writing, color, and imagery to guide you, you will bypass your linear mind, uncovering aspects of self that are often hidden in intellect. Wild Soul Medicine Journaling will deepen your relationship to yourSELF and the beautiful mystery that is your inner world. 21 SECRETS Paper, Glue, Scissors is a 150+ page eBook that you must download and save to your computer/device for unlimited access. Contained in this eBook are the 21 online workshops that are listed above. The workshops consist of videos, written text, full colored photos, templates, and printables. 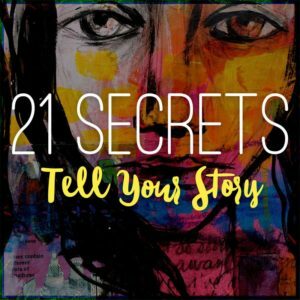 You can pick and choose which workshops you do and in what order — 21 SECRETS is completely self paced and it comes out Monday, October 29, 2018. Pre-order is available now.